The plot thickens!!! 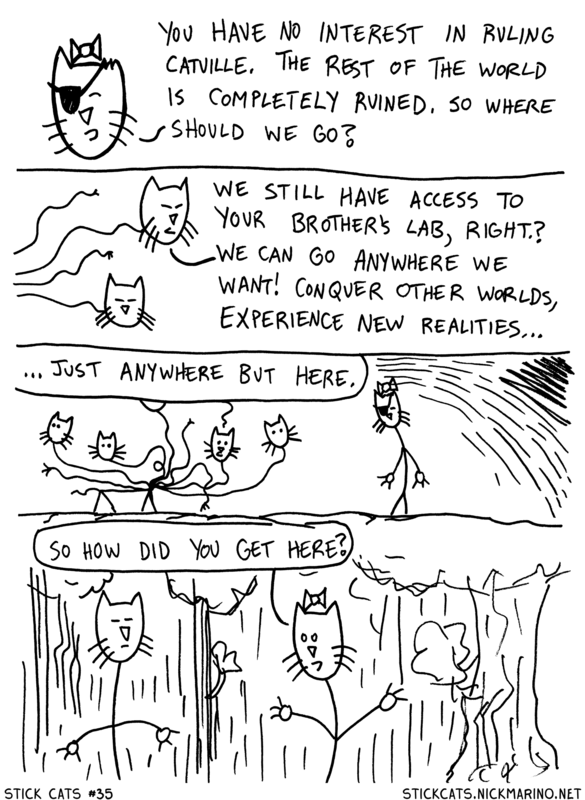 I drew Stick Cats Act III as my 24 Hour Comic, and by the time I hit this page, I was getting tired of all the talking! I wanted to advance the plot in an expedient fashion, so I introduced the notion in panel 2.